For many of us who read this it will have struck a chord. 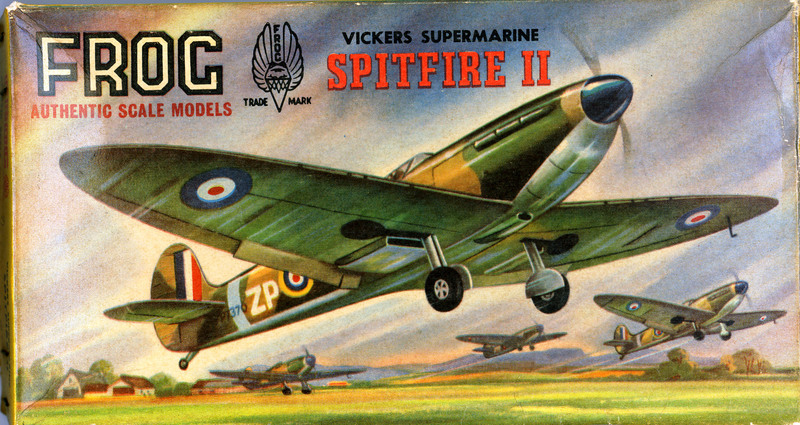 Our earliest modelling experiences were as youngsters who on a Saturday morning pocket money in hand would rush to buy the latest Models. 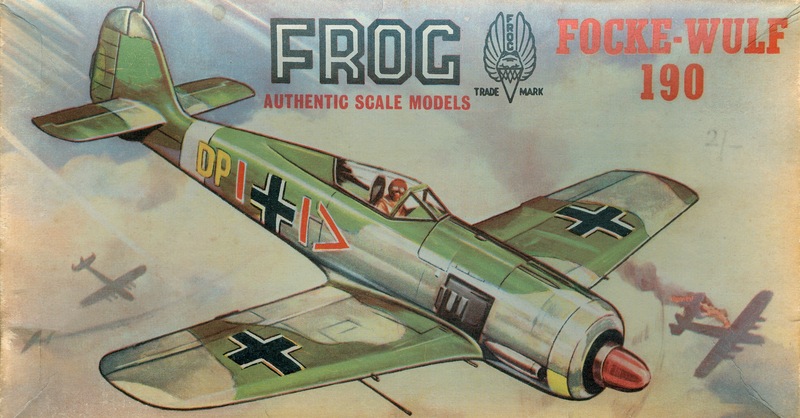 The name Frog conjures up memories of these trips for the latest offering from Frog or even maybe Airfix. 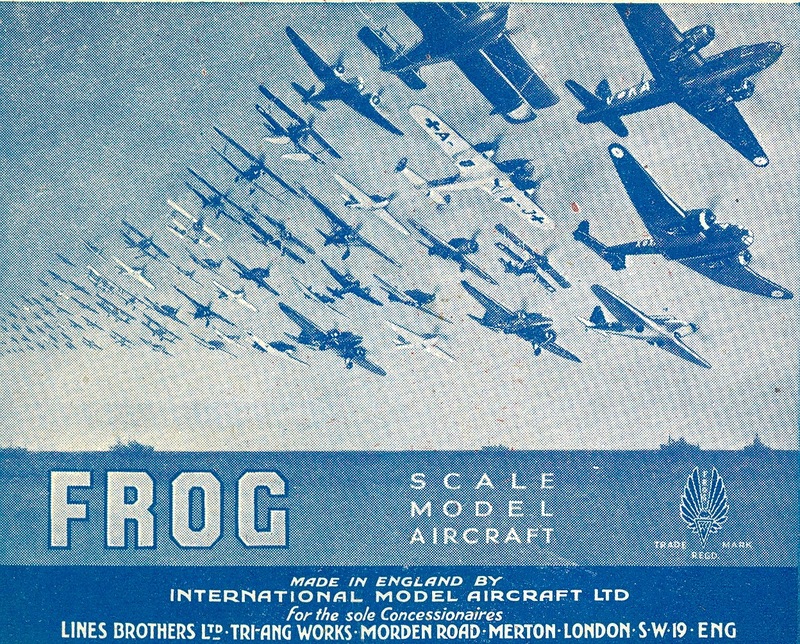 Interestingly both the Frog and Airfix factories were less than 4 miles apart. 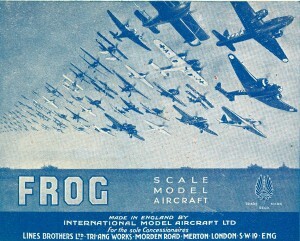 Frog in Merton London S.W.19 and Airfix in Wandsworth London S.W.18. Amazingly many of the original moulds continue to be used to this day. The poor model would either end up hanging from the ceiling or be destroyed in a mock dog fight. This together with the subsequent parental wrath for getting glue & paint on our clothes, the kitchen table, pets, sisters etc. Plus the odd visit to the local hospital having sliced into a thumb instead of plastic. These early experiences with model aircraft also taught us about aircraft & aviation. The early style narrative instructions (place the DF loop on the top of the fuselage) encouraged us to learn about the real thing. 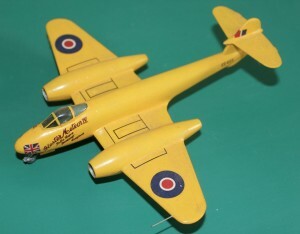 How many careers in aviation did these models launch? Years later many have returned to the gentle art of modelling having found marriage, mortgages careers and other interests on the way. F128 the R100 issued in 1/500 scale in 1965 as part of the Trailblazers range. The Late Sir Barnes Wallis of Dambuster fame advised Frog on the production of this model I am lucky enough to own the original drawings. This aim of this site is to document and discuss via our on line forum the plastic kits produced by FROG from the period of the 1950’s to 1976 as well as the Frog spawn that followed.For those who are interested in the earlier history of Frog and Penguins other than the two features I have included on the site I would recommend the Frog Penguin site at frogpenguin.com. 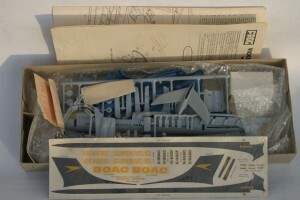 Although the title say’s Frog Model Aircraft both ships and cars are of course included. Please visit the forum and feel free to share your memories. Recent topics have covered everything from the missing moulds to Stunning members builds and the latest Ebay prices. We have very few rules except of course for No Spam. Let’s hope we can recreate some of the enjoyment we got from Frog and above all have fun. 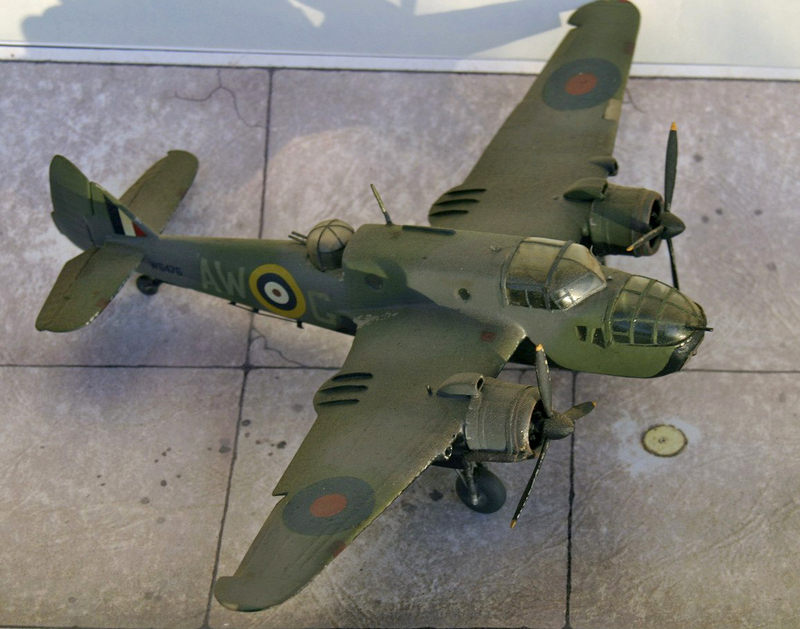 Interestingly Airfix have released a Whitley and Shackleton in 2015 both of which were Frog subjects. 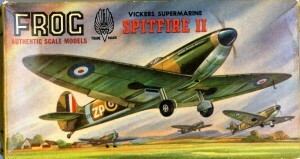 The Airfix offerings are of course far more refined. Up until now the Frog versions were the only game in town, and both models stood the test of time and build in to reasonable models. Both are still available. 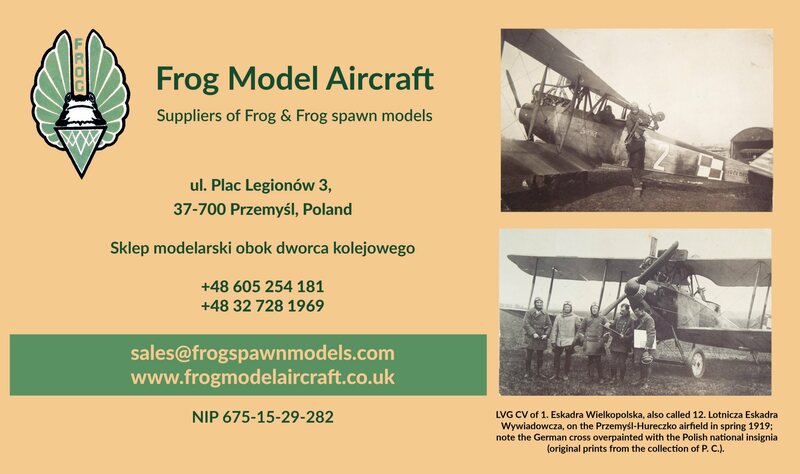 The site was first created in April 2011 and it’s home is opposite the historic railway station of Przemysl a beautiful Polish City dating from the 8th Century. We also have a small shop selling both Frog and Frog Spawn mainly mail order, but we do have limited stock for retail. If anybody would like to contribute to the content of the site please get in touch. In the meantime please feel free to visit and maybe take part in our forum. Thank you for your visit and above all enjoy the hobby. Just a quick note about copyright and sources. All photo’s & models except where credited are from my own collection. 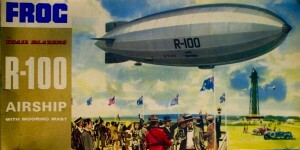 Illustrations of period newspapers are the copyright of the publications named and are reproduced with permission. They should not be copied. 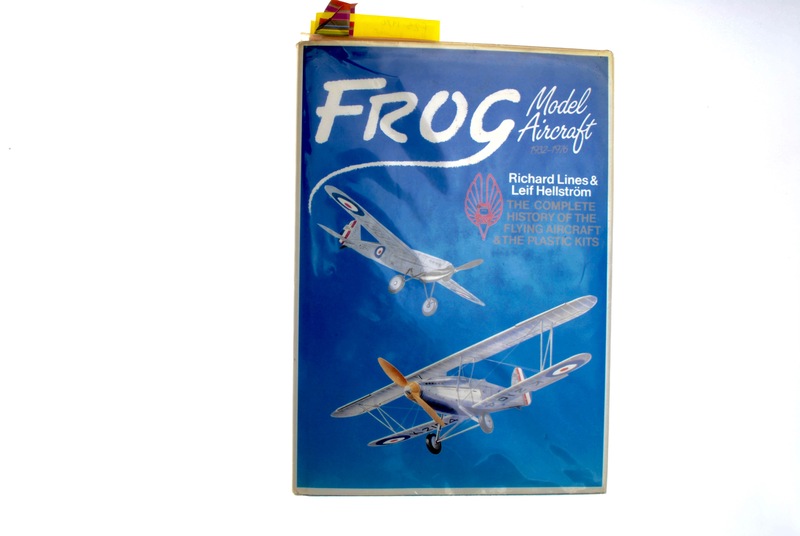 I have relied heavily on Richard Lines and Leif Hellstrom’s amazing book Frog Model Aircraft 1932-1976 published by New Cavendish books in 1989 a title that every Frog Enthusiast should own. My very thumbed copy of Frog Model Aircraft 1932 to 1976 Note all the markers. And this is what it is all about… The contents of the VC10, a super model for it’s time now followed by the latest offerings from our friends at Roden. 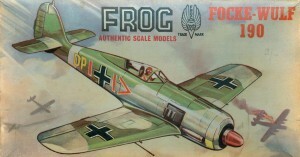 Frog also planned an East African version now also released by Roden.